Cricket Australia CEO James Sutherland reflects on losing the Ashes to England and Australia captain Michael Clarke retiring from international cricket at the end of the series. Captain Michael Clarke announced his retirement after the fourth Ashes Test. Cricket Australia chief James Sutherland said Sunday there would be a review of the team’s “disappointing” Ashes loss to England as he paid tribute to retiring captain Michael Clarke. Clarke, 34, said Saturday he would retire from international cricket after the fifth Test at The Oval, following England’s crushing win over Australia by an innings and 78 runs in the fourth Test at Trent Bridge to win the Ashes with an unbeatable 3-1 lead. “It’s a disappointing end to an Ashes series,” Sutherland told reporters in Melbourne. The CA chief executive said a post-mortem of the team’s performance would be conducted and acknowledged Australia had to lift their game when playing overseas. “Sadly and as we do after every tour, win lose or draw, we will review performances and make assessments on things that have happened during the course of the tour, what happened leading into it, whatever aspect of it, the preparation and delivery and execution,” Sutherland said. “It is not easy playing away but it’s something that we clearly have to get better at. Sutherland stressed that despite the nature and timing of Clarke’s retirement, the New South Wales shot-maker had enjoyed a great career and led Australia back to number one in Test cricket. “Unfortunately sport doesn’t always leave you with fairy-tale endings and happy endings,” he said. Congratulations @MClarke23 on an amazing test career! One of the great players and leaders! Sutherland said CA had confidence in heir apparent Steven Smith, who is expected to become Australia’s captain for their next Test series in Bangladesh in October. “I think we have got someone in waiting who has had experience as a captain,” he said. In response to questions, Sutherland said coach Darren Lehmann was safe in his job but would not comment on whether wicketkeeper Brad Haddin or all-rounder Shane Watson had reached the end of their Test careers. 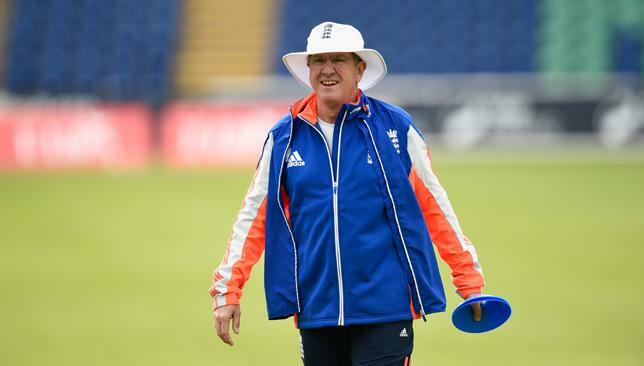 Mixed emotions: Australian Trevor Bayliss tempered his delight. England coach Trevor Bayliss could perhaps be forgiven mixed feelings about beating his fellow Australians so resoundingly in the 2015 Ashes. But he was displaying none at all as he spoke after England regained the urn yesterday. The 52-year-old’s most pressing concern, in fact, appeared to be that he did not lord his success over his compatriots. Bayliss was recruited by England two-and-a-half months ago to succeed the sacked Peter Moores, and take over from interim Paul Farbrace – with whom he worked previously for Sri Lanka and who has become his assistant this summer. The management reshuffle has worked a treat, England consolidating qualified improvement in the drawn series against New Zealand before Bayliss’ arrival and taking an unassailable 3-1 lead in the Ashes. However, Bayliss was concerned not to be seen crowing in victory. “I’m not going to gloat … in front of them [Australia], anyway. “I know how much they will be hurting in that changing room. Australia’s defeat in the series is the seventh occasion in the past eight battles for the urn that the home team has prevailed – prompting some to question whether the geographical advantage is too pronounced. Bayliss is not among them. “It’s a challenge for any team to win away – that’s the most difficult … (but) I think that’s the way it should be,” he said. “With the wickets we saw, that seamed, and with more swing over here as well, some of the techniques were tested with the Australian boys. “It’s only the very best players in any international team that are able to score runs away from home. Captain Alastair Cook admits he privately doubted England’s chances before the series began. Bayliss said: “I’m not sure I’m surprised. But knowing the strength of the Australian team and the individual players and how good they are, it was going to be a very difficult assignment. He has been impressed especially by Cook’s leadership and the continued development of all-rounder Ben Stokes – although he insists further improvement is needed if England are to climb the Test rankings from their current sixth. “We don’t want to put too much expectation on him, and say he’s going to be the next (Ian) Botham, or the next (Andrew) Flintoff,” he said. “He’ll be the next Ben Stokes.